Dimensions 0.75 by 4.25 by 7.25 in. 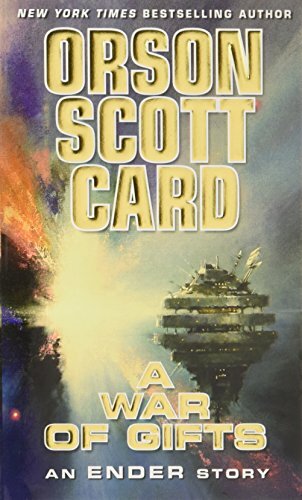 Orson Scott Card offers a Christmas gift to his millions of fans with A War of Gifts, a short novel set during Ender's first years at the Battle School where it is forbidden to celebrate religious holidays. With Institute of Petroleum | from John Wiley & Sons Inc (May 1, 1996); titled "Standard Methods for Analysis and Testing of Petroleum and Related Products 1996"
About: Orson Scott Card offers a Christmas gift to his millions of fans with A War of Gifts, a short novel set during Ender's first years at the Battle School where it is forbidden to celebrate religious holidays.